Severna Park Soccer is the largest youth soccer organization in Anne Arundel County, and fourth largest in Maryland, according to MSYSA registration numbers. For fall 2015, we had nearly 2200 children in our various programs - Clinic (see the Youth Development Program link), Club (see the Recreation Program link) and Select (see the Select Program link). We also offer an outstanding youth referee program (see the Referee Program link). Soccer is also the largest sports program in GSPAA. We typically field 40+ Select teams, over 20 of which play in WAGS, NCSL, EDP and Region 1 which U.S. Youth Soccer routinely considers among the elite girls and boys leagues in the nation. For a full list of our Select Teams and what they are doing, see the Girls and Boys Teams links at Select Program. 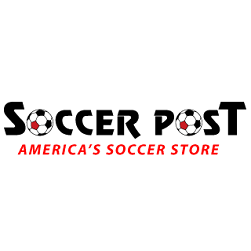 To see a list of Select Program accomplishments, players and teams, read our Quarterly Select Soccer Newsletters or click Club Achievements. During a recent, typical seasonal year, our Select teams participated in 46 tournaments (not counting State or President Cup), with 17 Championships and 20 Finalists. Nearly 40% of the time, an SEVP team was the champ, and 80% of the time played in the championship game. For a complete list of all tournament achievements, team by team, please check out GotSoccer. Our Clinic Program has some 450 children in the U4 through U6 age groups. This is a player development program follows a comprehensive, technically-graduated program which introduces and reinforces the essential age-appropriate soccer skills. For more information on the Clinic Program, see Clinic Program. Our Club Program fields over 100 teams involving nearly 1,000 players from U7 through HS-aged. This program is the single largest program in Severna Park Soccer and provides each child with the opportunity for a life-long love of the game. The emphasis of this program is on fun while instilling the values of commitment, teamwork and self-improvement. For more information on our Club Program, see Club Program. We also have the lowest fees and total costs of any club in Anne Arundel County. Our fees are from $55 for clinic to $130 for regional level select soccer, and with a once-per-year family fee of $75. In addition, our facilities are outstanding and include the premier grass fields and turf fields at our Kinder Complex.